Matthew 25:46 is one of the most commonly used texts to prove that hell is a place of eternal torment. The text reads, “These will go away into eternal punishment, but the righteous into eternal life.”1Unless otherwise noted, all scripture quotations I give are from the New American Standard Bible (NASB). Scripture taken from the NEW AMERICAN STANDARD BIBLE®, Copyright © 1960,1962,1963,1968,1971,1972,1973,1975,1977,1995 by The Lockman Foundation. Used by permission. It is this reference to “eternal punishment” that is seen as a slam dunk, proving beyond a reasonable doubt that hell is a place of eternal conscious suffering. Of course, it proves no such thing, and this passage has come up numerous times in the Rethinking Hell universe. It came up in a response to Tom Ascol’s “4 Truths About Hell.” It is addressed by Chris Date in Episode 7 of the Rethinking Hell podcast. 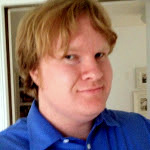 Chris Date also addressed some specific grammatical elements of the passage in response to the blogger Turretinfan and a follow-up response. However, there has yet to be a single, (relatively) succinct post (or series of posts) specifically about this text that can be referred to when the question comes up about how evangelical conditionalists might address the fact that the unsaved are condemned to “eternal punishment.” My goal here is to give such a response. I do agree with most traditionalists that, in this passage, “eternal” speaks of something lasting for eternity. It lasts for ever and ever. It is everlasting. So then, please ignore all objections you may have heard or read that attempt to refute annihilationism by saying that we make “eternal” not mean eternal (which is most of them). The meaning of eternal is not the key assumption that I am refuting here. The assumption is made that “eternal punishment” means that the act of punishing the unsaved is what continues on for eternity. Most traditionalists take that for granted. This would include me when I was a traditionalist. This likely includes most conditionalists who were once traditionalists. This assumption is the underpinning of the whole argument from this verse. However, this assumption is unwarranted, and despite the fact that we have to talk about grammar, the reason for this is actually quite simple. In a nutshell, when other nouns of action are qualified as eternal, it is often the results of the act, and not the act itself, that lasts for eternity. If this is even a reasonable possibility with Matthew 25:46, then we can no longer say that this proves the wicked always consciously exist; the one-time act of destroying them as punishment would yield the eternal result of them no longer being around. You see, nouns of action, in English and in Greek and just in general, can often be taken in more than one way. This is not complex linguistic gymnastics that Jesus’ listeners would not have understood. This is a basic rule of language that a small child understands, at least in practice. In a previous post, Chris Date used “translation” as an example; “translation” may refer to the act of translating (“the translation of the book took ten years”), or to the result of translating (“the translation has been published recently”).3Chris Date. “‘Punishment’ and the Polysemy of Deverbal Nouns.” Rethinking Hell [blog], posted June 19, 2012, http://www.rethinkinghell.com/2012/06/eternal-punishment-and-the-polysemy-of-deverbal-nouns (accessed January 2, 2014). With this in mind, annihilation is eternal punishment. God punishes the wicked at one time, by destroying them, while they are alive and punishable. The result, the punishment that results from the act of punishing, is that they are destroyed and will never ever come back to life. If this sounds like I am twisting language, you will see below why I am doing no such thing. The Bible treats language the same way. What does “eternal judgment” mean? It’s pretty simple; God judges, and the result is everlasting. Few traditionalists, if any, argue that this verse teaches that God is continually judging for eternity, banging his gavel and repeatedly declaring saved or unsaved the same finite number of existent people. But wait a minute; it doesn’t say “the eternal results of judgment.” It says “eternal judgment.” Following the reasoning applied to Matthew 25:46, this verse must teach that God is continually in the act of judging! Following Gomes’ reasoning, “One could argue that [a universe in which God is not longer in the act of judging but the effects remain] might be the result of [judgment]. But the Scriptures say that it is the [judgment] itself which is eternal, not merely its result.” However, we all know that that would be absurd, so no one believes it. Regarding Hebrews 6:2 and “eternal judgment,” what is eternal is the outcome; God judges, and the judgment is the result. Likewise, it at least could be the case that God punishes the unsaved by destroying them, and the punishment is the results, results that last for eternity. Some may still be tempted to say “but it doesn’t say the ‘the result of punishment! '” However, unless they are to say that God will forever be continuously in the act of judging, this is really no longer an option. Hebrews 6:2 would be sufficient to prove my point, but I will point to more examples to show that this is actually not an uncommon occurrence. The person who commits the “eternal sin” is not doing the act for eternity. How would that even work? If that were the case, they would never actually finish the act! Context clues us in even further. This passage isn’t referring to some vague “unpardonable sin.” The text tells us what is in view: the Pharisees saying that Jesus had an unclean spirit. In other words, after having seen Jesus cast out demons, clearly an act of God, they instead slander him and accuse him of working on behalf of the devil! To do so was to blaspheme the Holy Spirit, by whose power Jesus was working. It was an act of finite duration that they committed (though probably more than once). They said “he has an unclean spirit,” not “he has an unclean spppppppppppppiiiiiiiiiiiirrrrrrrrrrrrriiiiiiiiiii…” unto eternity! It is a sin with eternal consequences. Once one has done it, they have no hope ever.4Fortunately, to be in the position as these Pharisees would be rare. Even those who blaspheme God can be forgiven if the person acts in ignorance, as Paul did (1 Timothy 1:13). You have to really know what you are doing (like one who would have just seen Jesus cast out demons). If you think you may have committed the sin of Mark 3:29, and you give a darn about it, then I think it is safe to say that you haven’t committed the eternal sin.5Some manuscripts vary and do not refer to an “eternal sin,” but even if the alternative rendering is correct and it does not say “eternal sin,” it is still the case that the idea of something like “eternal sin” made perfect sense to the 1st or 2nd-century scribe who copied it wrong. Jesus obtained “eternal redemption” for us. Certainly Jesus isn’t continually in the act of redeeming us. After all, we gained redemption “through His blood” (Ephesians 1:7). That certainly isn’t going to happen again and again throughout eternity! He died once for all (Hebrews 10:10). It does not say “the results of redemption”; nonetheless, redemption as an act, i.e. the act of redeeming, was done once, not continually for ever and ever. The result of the act of redeeming, the “redemption,” is what lasts for ever and ever. The same is true as above. The act of saving us will not go on for eternity. Why would it need to? Jesus already died an rose again to save us. Most would take this for granted.6For one instance of a traditionalist arguing that Jesus will be eternally in the act of saving us, see Part 2. Jesus will not be continually in the act of saving us, but the result, that we are saved (our “salvation”), lasts for ever and ever. Our inheritance, the thing which we inherit, the result of our inheriting the kingdom, is what is eternal. We certainly are not going to be in the act of inheriting for eternity. We inherit, and we forever have what we inherit. It may be hasty to say that Matthew 25:46 must be like these passages. Nevertheless, it certainly is a reasonable possibility that it is. With this in mind, Matthew 25:46 certainly does not prove anything in rebuttal to evangelical conditionalism. There is another element to this that is worth discussing, and that is the meaning of punishment. In some senses it is moot, given that in the previous section I showed that “eternal punishment” need not mean that the act of punishing is continuing for eternity in the first place. But I want to cover all of the necessary bases. A major reason why this passage is believed to prove eternal torment is because it says “punishment,” and punishment, it is argued, must mean pain or some sort of conscious suffering, and therefore must mean that the person is alive and conscious to suffer. This is partially true, but the part that is not true is what makes all the difference. Let us grant that someone has to exist as a sentient being to be punished, at least in any meaningful sense. It would make little sense, for example, to punish someone by beating their corpse since a corpse can’t feel. However, I am not denying that the hypothetical unsaved person is conscious and alive when God punishes them with destruction. They certainly are. But it is not the case that the punishment, the result of being punished, continues only as long as the person is alive/conscious to feel it and be aware. Consider capital punishment, what is most often the most severe penalty inflicted on earth for crimes. Yes, the person is alive when the punishment is inflicted, but we don’t simply measure the punishment in terms of their conscious suffering. If that were the case, a short stint in prison or maybe even a fine would be more severe. The punishment is the years of life that were lost. The punishment continues on after the infliction of punishment and the consciousness of it ends.7Of course, this is complicated somewhat if there is a conscious intermediate state, especially in the case of someone who is punished with death but has found Christ and therefore enters into his presence upon death. For them, death would actually lead to glory. But this complicates all sides, since surely that is not the intention of those who inflict the punishment. They aren’t going into it with the plan of sending the person to heaven as punishment! Rather, this would be demonstrative of the imperfections of earthly action, since humans can only kill the body. But God can destroy body and soul (Matthew 10:28). The parallelism that Jesus makes between “eternal life” and “eternal punishment” is the biggest aspect appealed to. Since at least the time of Augustine,8Augustine of Hippo. City of God ed. 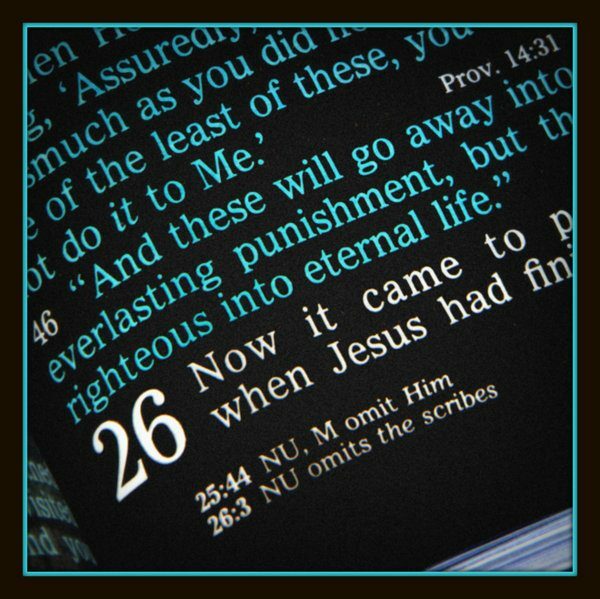 Phillip Schaff (Veritatis Splendor, 2012), 21:23, 629. it has been argued that since the phrase “eternal” is used twice in this verse, and the other time it describe the life of the saved (which certainly lasts for eternity), it means that the punishment also lasts for ever and ever. However, in light of the above, this is of little relevance. I agree that in both cases, “eternal” means the same thing. So if you should see a polemical writing against annihilationism where the author argues that, in light of “eternal life,” punishment must also last for eternity, you can ignore it, as it does not even address my argument here. Far less common arguments that “eternal punishment” must entail an ongoing process since “eternal life” entails people consciously living forever will be addressed in Part 2. As I have written about previously, some may appeal to the fact that the Bible, when taken at face value, supports their view. After all, God’s word should be accessible to everyone, shouldn’t it? But this argument is problematic because no one side can take the Bible at face value all the time. Admittedly, some may be able to do so more than others (compare the many references to death and destruction for the unsaved compared to the very few references to torment). However, every view will have trouble passages. With that in mind, consider that to many, this passage sounds more like eternal torment, when taken at face value, and so that is seen as evidence for that view. But aside from the fact that face value can be misleading, this sword cuts both ways. This is because this passage doesn’t just reference “eternal punishment.” The passage directly contrasts “eternal punishment” with “eternal life.” Now, some will argue that “eternal life” has nothing to do with having conscious existence and is only about the quality of existence (although in light of the Bible’s descriptions of “life,” as discussed here, that claim is rather tenuous). Be that as it may, we are talking about face value. At face value, “eternal life” sounds like living forever (i.e. being a consciously existent sentient being). At face value, it sounds like life and living in the way that we normally mean it, in the way that even a number of notable traditionalists mean it when speaking of the unsaved living forever in hell (until, of course, a conditionalist points out that the Bible says that the unsaved don’t have life). Think about it. At face value, the saved get eternal life. They get to live for ever and ever. Since the alternative is eternal punishment, the punishment must be not having life (for eternity, no less). 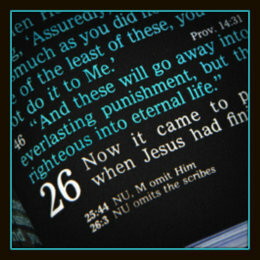 The punishment is not getting eternal life, so it means being eternally like a corpse or a pile of ashes. It is like if someone, on earth, had the option of life or capital punishment. It sounds like the punishment is being put to death. In a nutshell, this passage says that the unsaved don’t get eternal life, so how can they be alive to be tormented forever? At face value, this flies in the face of the traditional doctrine. Like I said, this sword cuts both ways. When “eternal life” comes up, suddenly the face value meaning of phrases isn’t so important, and examining the scripture more in-depth is not seen as unnecessarily complicating the matter. Given how deeply ingrained the doctrine of eternal torment is in Christendom, it is understandable that to the average person, the meaning of “eternal punishment” is eternal torment. But when we compare scripture with scripture, and look into the matter further, we see that it is hardly that simple. It should be apparent already how evangelical conditionalism is consistent with this passage, though it will be useful to address further issues, lest we leave important stones unturned. In Part 2, we will look at some rebuttals made to what I have put forth here. We will also look at an alternative conditionalist interpretation of Matthew 25:46. 2. ￪ Alan Gomes. “Evangelicals and the Annihilation of Hell: Part One,” Christian Research Journal (Spring, 1991), 14-19, n.d., http://www.bible-researcher.com/hell4.html (accessed on December 16, 2013). 3. ￪ Chris Date. “‘Punishment’ and the Polysemy of Deverbal Nouns.” Rethinking Hell [blog], posted June 19, 2012, http://www.rethinkinghell.com/2012/06/eternal-punishment-and-the-polysemy-of-deverbal-nouns (accessed January 2, 2014). 4. ￪ Fortunately, to be in the position as these Pharisees would be rare. Even those who blaspheme God can be forgiven if the person acts in ignorance, as Paul did (1 Timothy 1:13). You have to really know what you are doing (like one who would have just seen Jesus cast out demons). If you think you may have committed the sin of Mark 3:29, and you give a darn about it, then I think it is safe to say that you haven’t committed the eternal sin. 5. ￪ Some manuscripts vary and do not refer to an “eternal sin,” but even if the alternative rendering is correct and it does not say “eternal sin,” it is still the case that the idea of something like “eternal sin” made perfect sense to the 1st or 2nd-century scribe who copied it wrong. 6. ￪ For one instance of a traditionalist arguing that Jesus will be eternally in the act of saving us, see Part 2. 7. ￪ Of course, this is complicated somewhat if there is a conscious intermediate state, especially in the case of someone who is punished with death but has found Christ and therefore enters into his presence upon death. For them, death would actually lead to glory. But this complicates all sides, since surely that is not the intention of those who inflict the punishment. They aren’t going into it with the plan of sending the person to heaven as punishment! Rather, this would be demonstrative of the imperfections of earthly action, since humans can only kill the body. But God can destroy body and soul (Matthew 10:28). 8. ￪ Augustine of Hippo. City of God ed. Phillip Schaff (Veritatis Splendor, 2012), 21:23, 629.